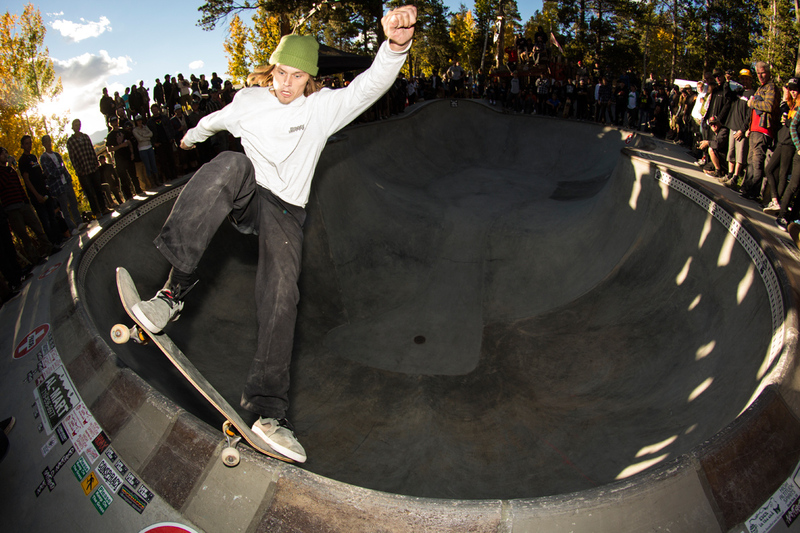 “Colorado is home to one of the best skate scenes in the nation, and with that comes a huge network of backyard spots like Harold’s Hideaway in the high Rockies. 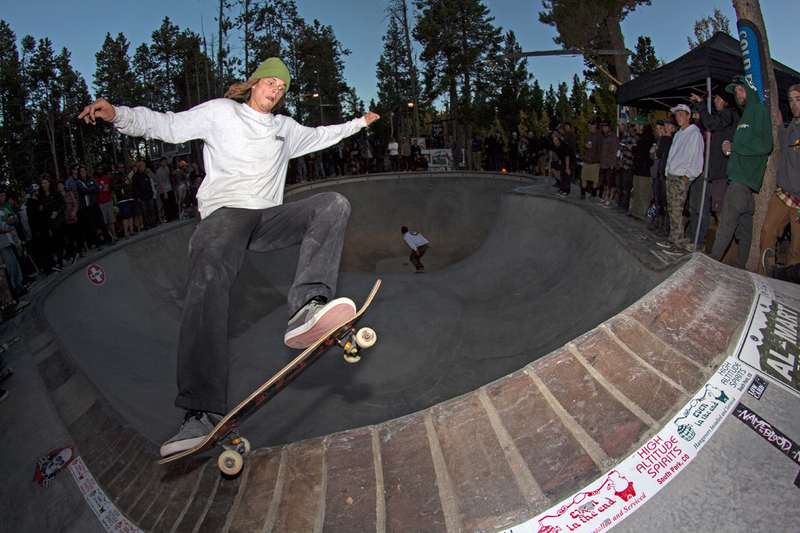 A whole load of the rippingest folks from all around the state and nation descended on the SBA compound to drink free beer, eat good bbq, and melt faces. The End of Summer Bummer was easily some of the gnarliest skateboarding I’ve ever witnessed, and I was stoked to be there! I want to give a huge thanks to the SBA, the pit masters for the BBQ, Pabst Blue Ribbon, Skate Colorado, Whiskey Tee Distribution, Name in Blood Skateboards, Confusion Mag, Conspiracy, Hoax, Bones, Lowcard Mag, Satellite Board Shop, The Smoke Shack, Mini Logo, Weed Tees, Al-Mart, High Altitude Spitrits, Silly Girl Skateboards, and Powell Peralta for making such a rad event possible! Derek Scott. Blasting a method. Jaeson Manzanares. Finger flip to tail. 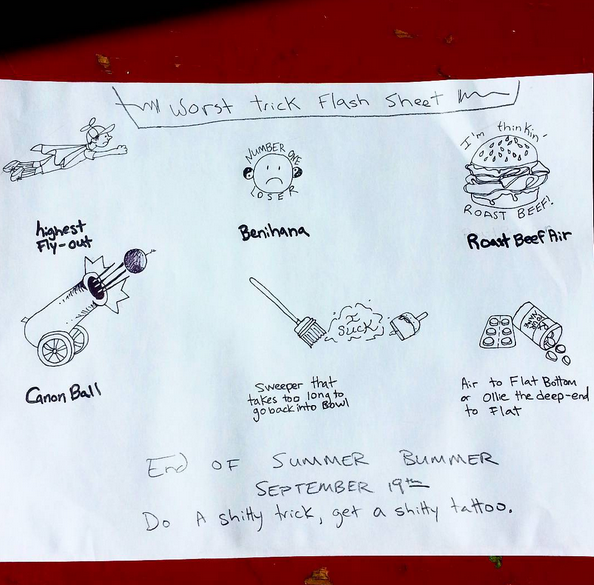 Worst trick flash sheet. Do a bad trick, get a bad tattoo. Artwork by Lenore Sparks.